- SAIKE-909D is a three-in-one multi-tool tool specially designed according to the needs of the market. 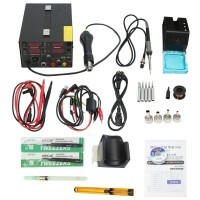 It combines common tools (welding station, heat gun, mobile phone repair power supply). The three functions can be switched on or off simultaneously. It occupies less work surface, saves energy and is further improved in performance on single-function products on the market. - The product circuit board is made of double-sided glass fiber material and is manufactured by patch technology. The internal process is neat and the signal flow is clear. 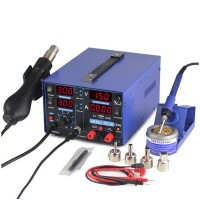 - The control of the soldering iron, the air gun and the power supply independent dual-core microcontroller, each work independently, even if there is a problem with one road does not affect the normal operation of the other way, the dual-core CPU design greatly reduces the failure rate of the product. 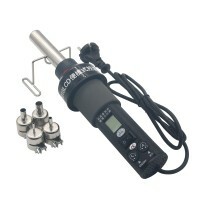 - The fan air flow is large and the poleless is adjustable. 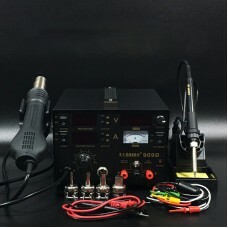 The soldering iron, the air gun temperature and the power supply voltage are displayed by the three-way display terminal LED. 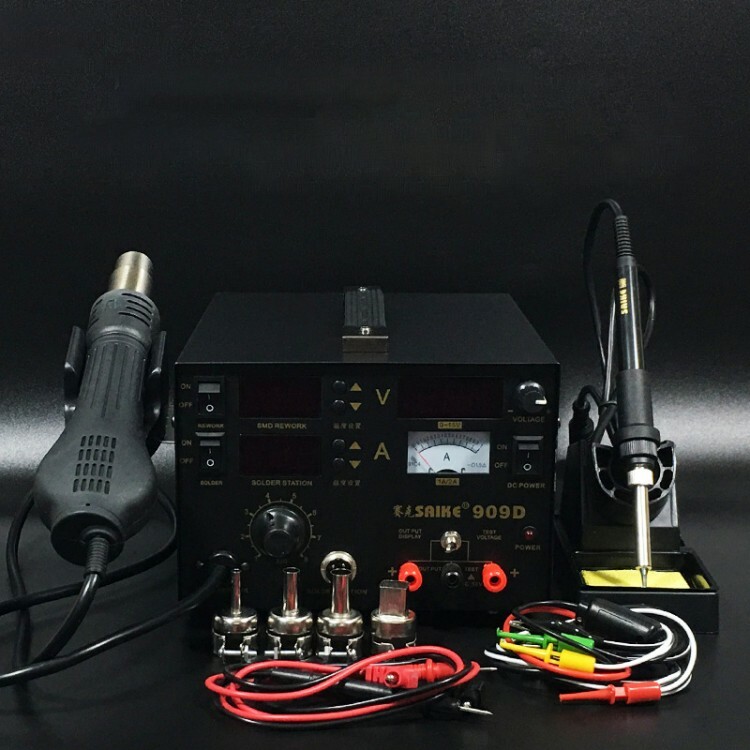 - The temperature of the soldering iron and the air gun is intelligent fuzzy PID control, the temperature stability error is small, the temperature compensation is fast, and it can adapt to various harsh environments. 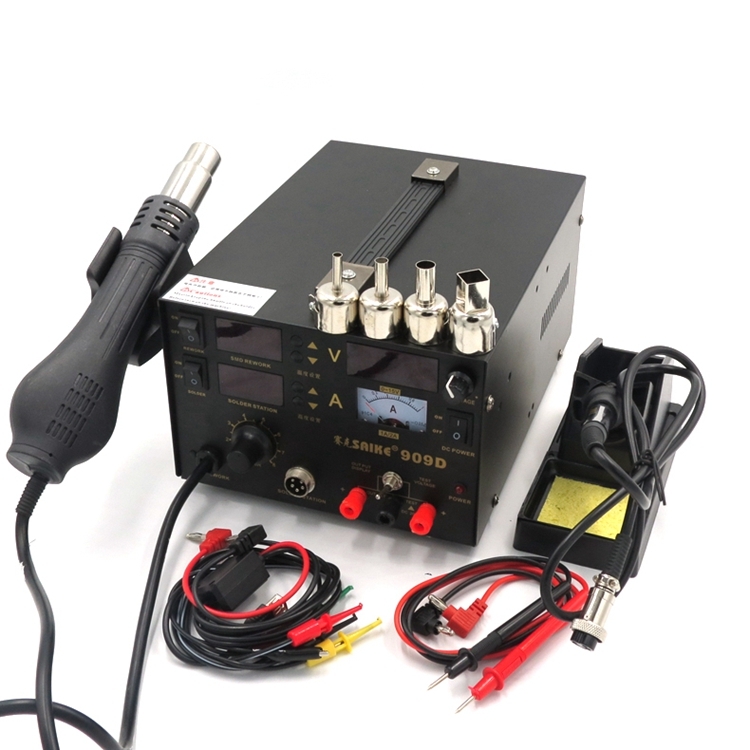 - Air guns and soldering irons have various fault protection functions. - The power supply section is provided with a continuous protection recovery function and an RF protection function to avoid the occurrence of various unexpected interferences that burn the mobile phone. 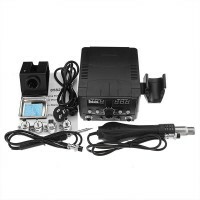 - The product is easy to operate and can be operated without any switch button. 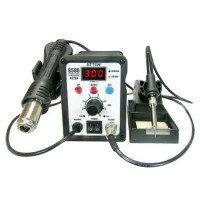 - Suitable for desoldering of various components such as: SOIC, CHIP, QFP, PLCC, BGA, etc. 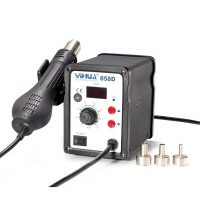 (especially suitable for the desoldering of mobile phone cables and cable holders). 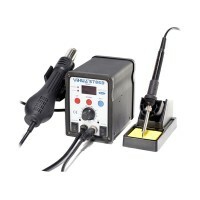 - For heat shrinking, drying, paint removal, mites, thawing, preheating, rubber welding, etc.